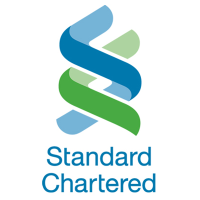 Shares in Standard Chartered PLC ticker code: LON:STAN has risen 3.18% or 19.2 points in today’s trading session so far. Market buyers have remained optimistic throughout the trading session. Range high for the period has seen 622.4 meanwhile the session low reached 607.8. Volume total for shares traded during this period was 1,098,493 with the average number of shares traded daily being 6,176,803. The 52 week high for the shares is 864.2 some 261.2 points different to the previous business close and a 52 week low sitting at 514.2 which is a difference of 88.8 points. Standard Chartered PLC has a 20 SMA of 612.08 and a 50 day moving average now of 607.95. The market capitalisation is now £20,431.47m at the time of this report. The share price is in Great British pence. Mcap is measured in GBP. This article was written with the last trade for Standard Chartered PLC being recorded at Friday, January 18, 2019 at 12:05:17 PM GMT with the stock price trading at 622.2 GBX. Shares in Smith & Nephew plc with ticker code: LON:SN has gained 1.45% or 21 points during the course of today’s session so far. Investors have so far held a positive outlook during the trading session. The period high was 1467.5 and a low of 1443. The total volume of shares traded by this point was 439,601 with the average number of shares traded daily being 3,133,732. A 52 week share price high is 1548.5 about 102 points difference from the previous days close and putting the 52 week low at 1173 is a variance of 273.5 points. Smith & Nephew plc now has a 20 simple moving average of 1446.74 and also a 50 day moving average at 1445.89. The market capitalisation is now £12,749.92m at the time of this report. The currency for this stock is Great British pence.Market cap is measured in GBP. This article was written with the last trade for Smith & Nephew plc being recorded at Friday, January 18, 2019 at 12:05:02 PM GMT with the stock price trading at 1467.5 GBX. 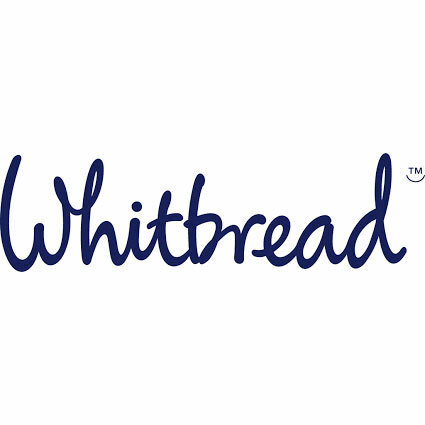 Stock in Smiths Group plc company symbol: LON:SMIN has increased 1.93% or 27.5 points throughout the session so far. Traders are a positive bunch during the trading session. The period high was 1454.5 while the low for the session was 1438. The amount of shares exchanged has so far reached 249,947 with the average number of shares traded daily being 972,741. The 52 week high for the shares is 1810.17 around 384.17 points difference from the previous days close and putting the 52 week low at 1256.74 a difference of some 169.26 points. Smiths Group plc has a 20 SMA of 1412.94 and also a 50 day simple moving average now of 1408.51. This puts the market cap at £5,756.95m at the time of this report. The share price is in GBX. Mcap is measured in GBP. This article was written with the last trade for Smiths Group plc being recorded at Friday, January 18, 2019 at 12:04:38 PM GMT with the stock price trading at 1453.5 GBX. Shares of Smurfit Kappa Group Plc with company EPIC: LON:SKG has risen 1.47% or 32 points throughout the session so far. Traders have remained positive while the stock has been in play. The periods high figure was 2224 while the low for the session was 2174. The amount of shares exchanged has so far reached 129,229 whilst the daily average number of shares exchanged is just 674,419. The stock 52 week high is 3308 which is 1136 points difference from the previous close and the 52 week low at 1915 which is a variance of 257 points. Smurfit Kappa Group Plc now has a 20 SMA at 2182.59 and now a 50 day SMA of 2185.89. The current market cap is £6,110.96m at the time of this report. The share price is in Great British pence. Mcap is measured in GBP. This article was written with the last trade for Smurfit Kappa Group Plc being recorded at Friday, January 18, 2019 at 12:02:37 PM GMT with the stock price trading at 2204 GBX. Stock in St. James’s Place plc EPIC code: LON:STJ has risen 2.52% or 24.2 points during today’s session so far. Investors have remained positive during this period. The period high was 987.8 dropping as low as 965.2. The amount of shares exchanged has so far reached 386,570 whilst the daily average number of shares exchanged is just 1,944,719. The 52 week high for the share price is 1279.5 around 319.1 points difference from the previous days close and putting the 52 week low at 905.6 which is a variance of 54.8 points. St. James’s Place plc has a 20 SMA of 971.82 and now a 50 day moving average at 996.79. The current market capitalisation is £5,213.06m at the time of this report. The currency for this stock is GBX. Market cap is measured in GBP. 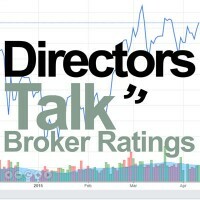 This article was written with the last trade for St. James’s Place plc being recorded at Friday, January 18, 2019 at 12:05:10 PM GMT with the stock price trading at 984.6 GBX. Click SKG SMIN SN STAN STJ for the full archive.